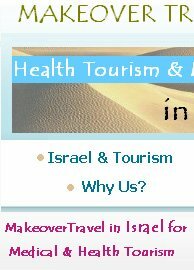 Makeover Travel "Medical Tourism" group was founded by doctors affiliated with the best hospitals and medical centers in Israel. Since years, we are leader in helping people get the best medical care worldwide. Imagine you were diagnosed with a serious illness. For a moment, time would stand still as your mind raced through a myriad of questions. What will happen now? Is my diagnosis correct? What kind of treatment will I need? Answering these simple, yet difficult, questions is the mission of Makeover Travel Group. We believe that it should be possible for anyone, to access the best medical knowledge available. Makeover Travel is an international company serving hundreds of people, proving to them every day that the best way to save money on medical care is to help people get the right answers to their most important questions. Makeover Travel understands the needs of its wide variety of patients and aims to make their stay as comfortable and stress free as possible. Makeover Travel is a provider-of-choice for medical tourists worldwide. 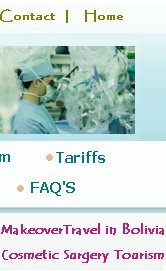 We have pioneered an Israel database of 1400 top medical specialists in more than 300 subspecialties. These are doctors chosen by their own peers for one simple reason: They are among the best. Our unique approach is to work doctor-to-doctor to help ensure that the right decisions are made and that our patients have the best chance for recovery; bringing the clinical knowledge of experts to the problems of people with serious medical conditions. Our primary concern at Makeover Travel has always been quality of care. We have sent experts onsite to carefully screen hospitals based on the quality of care, procedural availability, pricing, and overall patient experience. We only work with hospitals that maintain best practice standards of care, such as JCI/JCAHO/ISO accreditations, so you can be sure that you will receive world-class treatment. Makeover Travel continually monitors and re-evaluates our partner hospitals network through patient feedback, research, and onsite visits. Makeover Travel works to ensure that the experience itself, from the quality of nurses and standards of hygiene to post-treatment recovery services, is Exceptional. Our partner hospitals offer immaculate facilities. Patients can expect deluxe rooms, delicious food, internet access, no wait-lists and excellent registered nurse coverage. Our continued success depends entirely upon our reputation for world-class surgical services. Makeover Travel offers outstanding surgical services at 60-70% less than prevailing U.S. and UK rates. Even with travel expenses taken into account, our comprehensive packages still provide a savings measured in the thousands of dollars for major procedures. 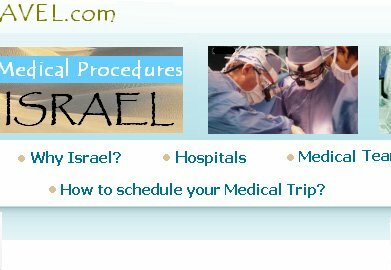 While the primary motivation for most customers is affordable surgery and best quality, the opportunity to visit a wonderful country like Israel is an additional draw for some of our customers. Many customers spend a few days sightseeing before or after their procedure. When your health is at stake, wait-lists are not an option. Our hospital partners will work with your schedule and timeframe to ensure quick access to care. Through Makeover Travel's sophisticated online quote system, your medical records will be made accessible to the hospitals instantly and hence will be able to get your medical quote within two business days in most cases. With our industry's most sophisticated and comprehensive web portal, consumers can arrange medical care from start to finish. Our one-stop service offerings are just one of the ways we strive to provide world-class care. Over hundred medical procedures are available in various categories: orthopedic procedures such as hip replacement, Birmingham hip resurfacing, artificial knee replacement, knee surgery, dental procedures such as bridges, implants, cardiac, vascular, spinal, obesity, eye, LASIK, urology, general surgery, wellness and much more. We are registered with the Better Business Bureau and conform to their Reliability Program to guarantee our members that we are a legitimate and trustworthy organization representing your best interests at all times. As an international organization, we are governed by and adhere to stringent privacy laws mandating that all your medical records must remain completely private and confidential at all times. We are cosmetic tourism and medical tourism experts with over 4 years of experience and hundreds of satisfied clients. We utilize a proprietary, state-of-the-art, Customer Relationship Management system to best guaranty the effective and efficient communication of important information about the medical retreat process. Our network of hospitals are among the leading healthcare institutions, equipped with the latest, state-of-the-art medical technology and board certified surgeons. With several years of first-hand experience, we have developed strong relationships with all our hospital partners. This means that we are able get answers to your questions very quickly. Traveling to a foreign country for medical treatment is daunting prospect for anyone. That is why we are here; to be by your side from the moment you contact us and guide you through the entire process from the comfort of your home. Our staff are dedicated to making our overseas patients feel at home. Upon arrival at the Medical Center, every overseas patient is assigned a Tourist Service staff member, who is always on hand to cater, fully and promptly, to the patient's needs. Serving as a personal, single point of contact, the staff member makes administrative arrangements, coordinates consultations, examinations and treatments, escorts the patient within the facility, and translates when required. As everyone’s needs and requirements are different, we at Makeover Travel offer completely personalized packages that suit you. Our service begins when one makes initial contact with a specific query. We maintain POST PROCEDURE COMMUNICATIONS with a follow up SURVEY on your recovery status when you return home, that may be accessed at all times on-line. Our staff are fluent in many languages including English, Spanish, Russian, French and Arabic.